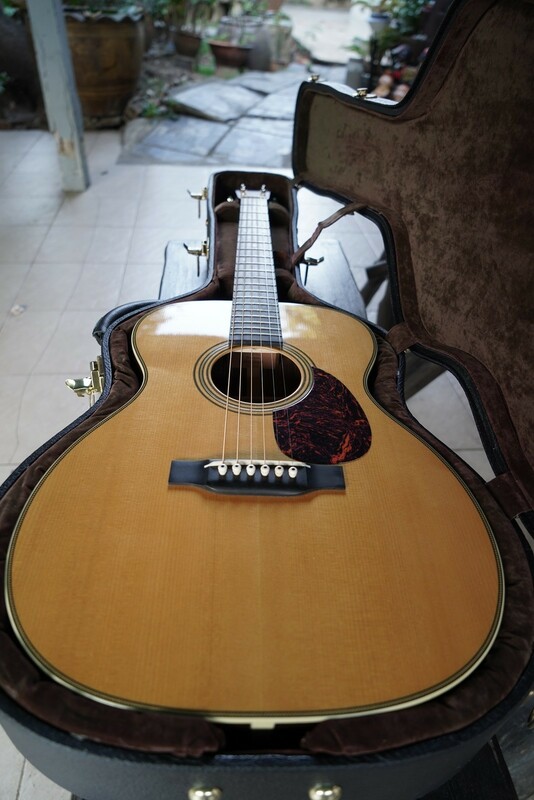 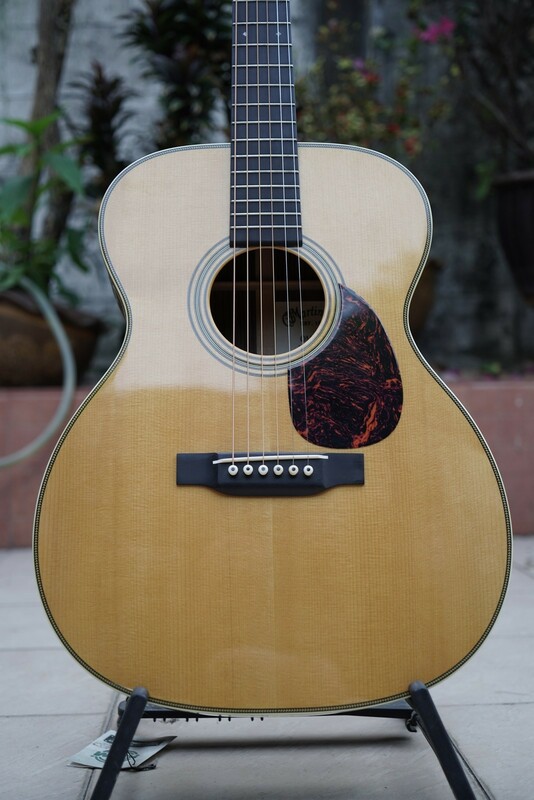 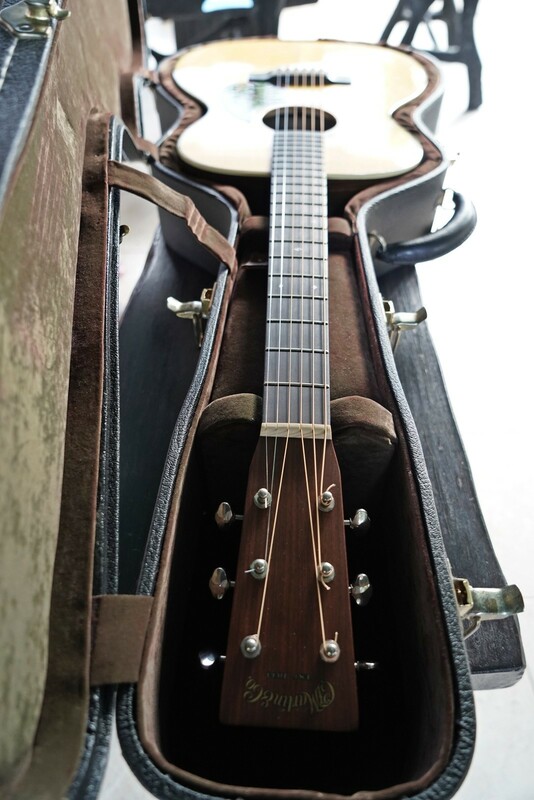 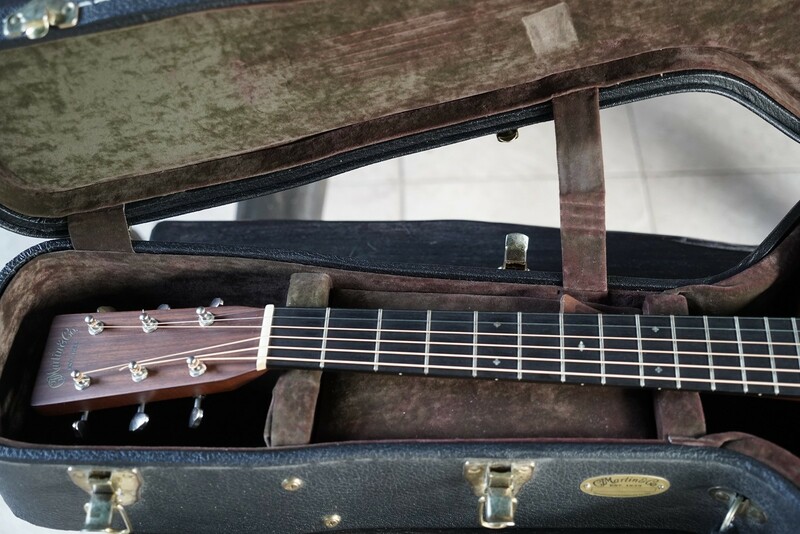 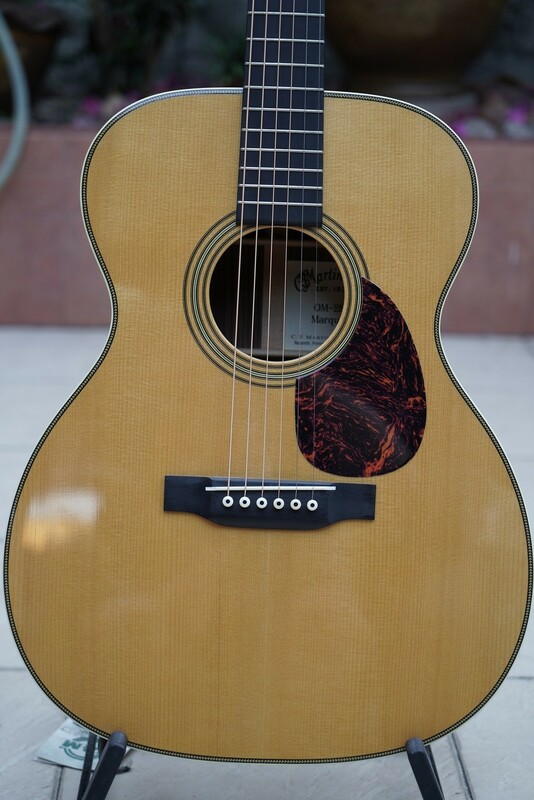 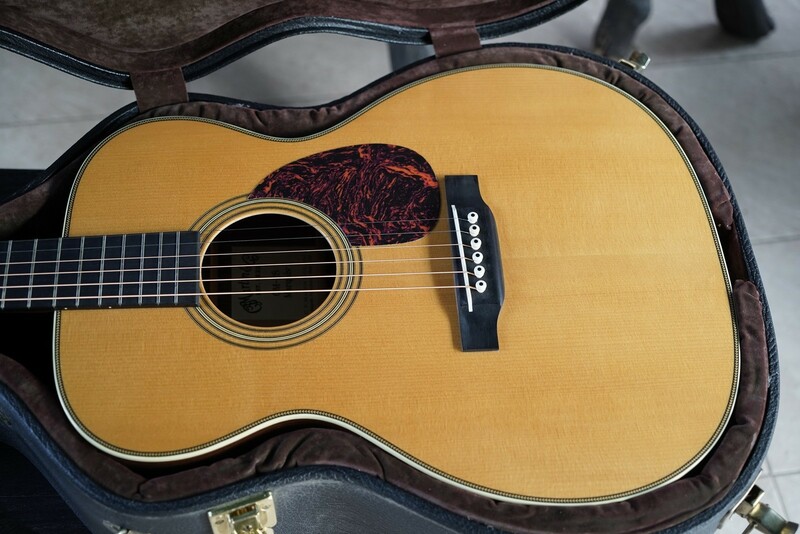 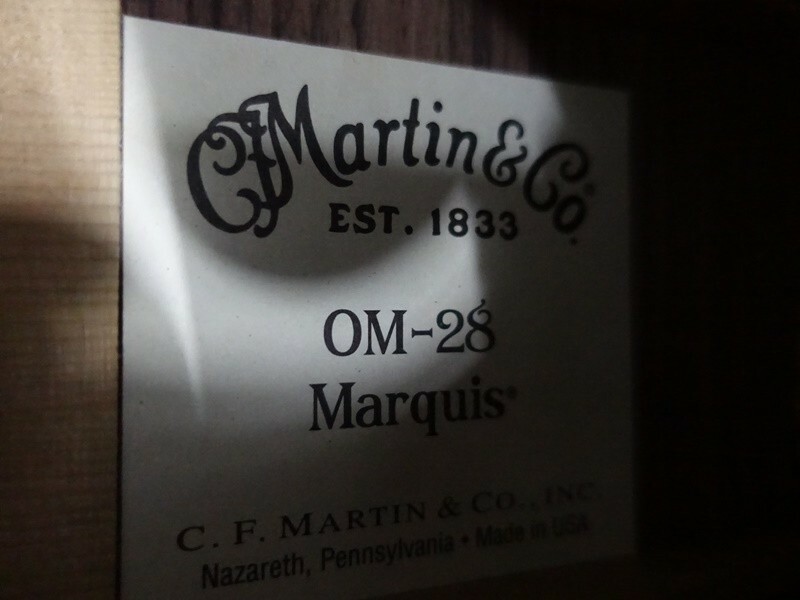 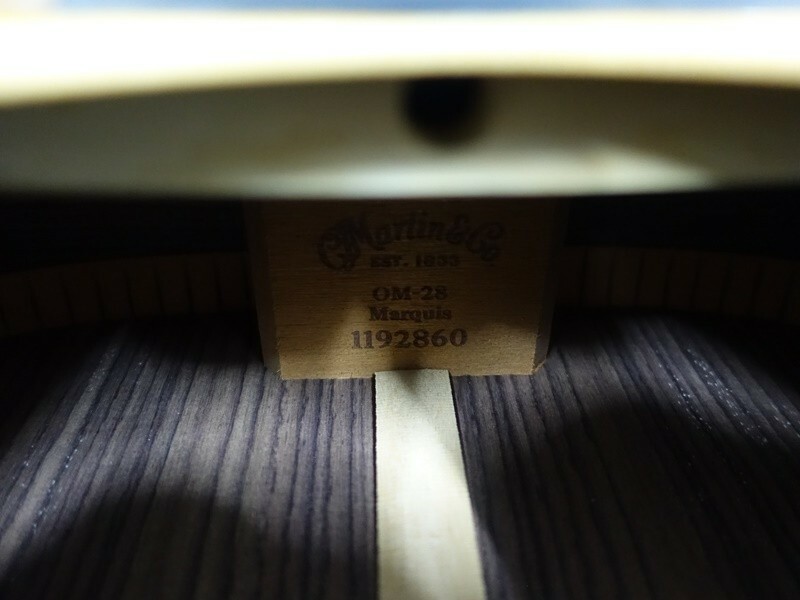 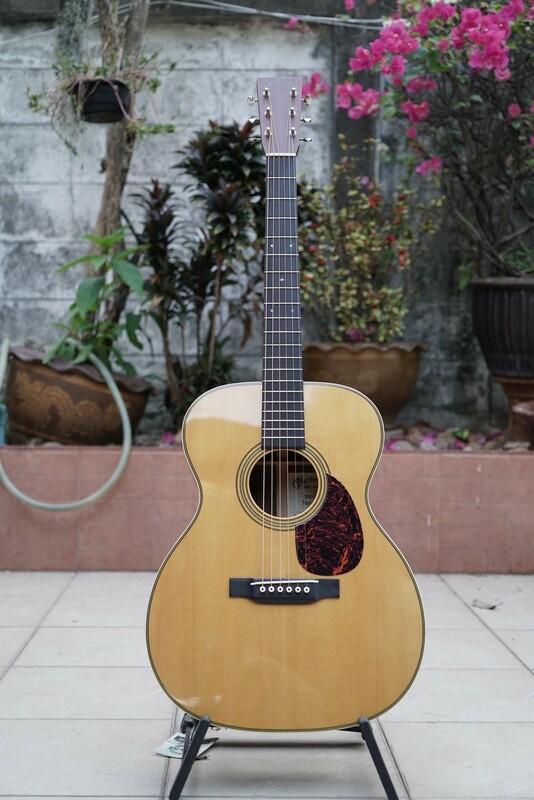 The Martin OM-28 Marquis (Special Edition) was introduced in 2006 - with approximately 100 made in total. 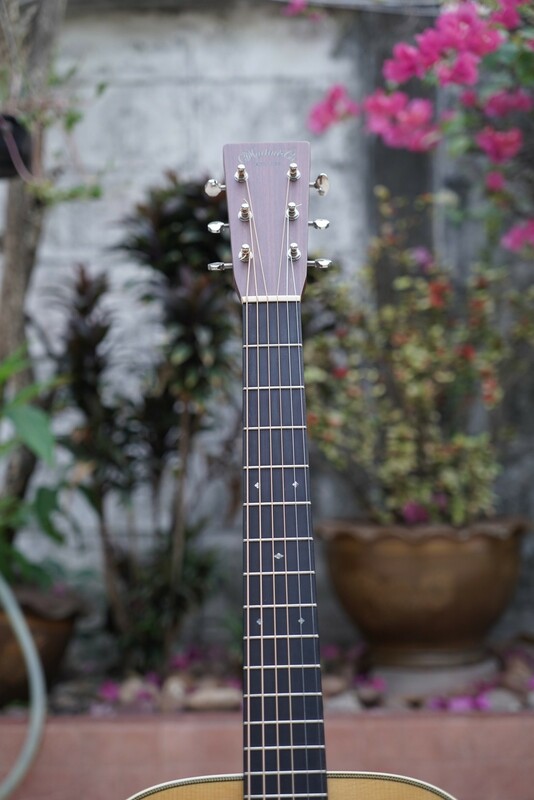 It has simple pre-war Golden Era styling and a 1.75" wide neck that makes it ideal for finger style players. 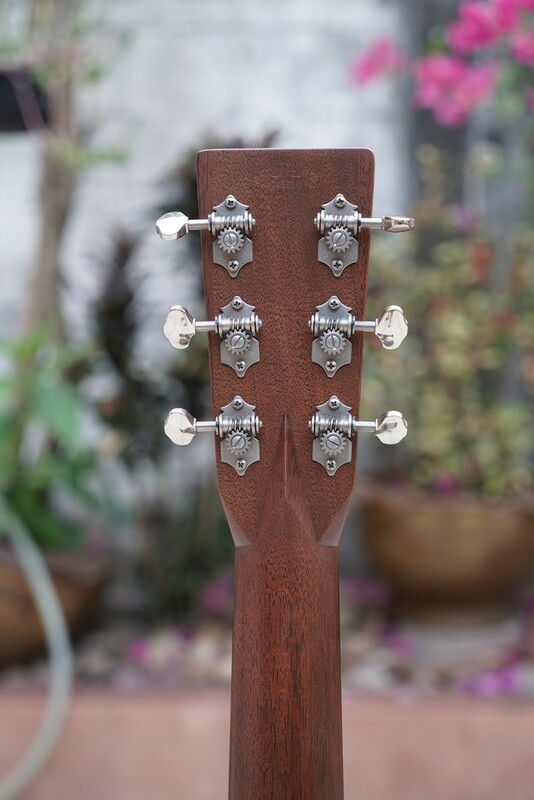 Other features include: double bound 000 body with an Adirondack spruce top, forward-shifted X-braces and select Indian Rosewood for the sides, back and head plate. 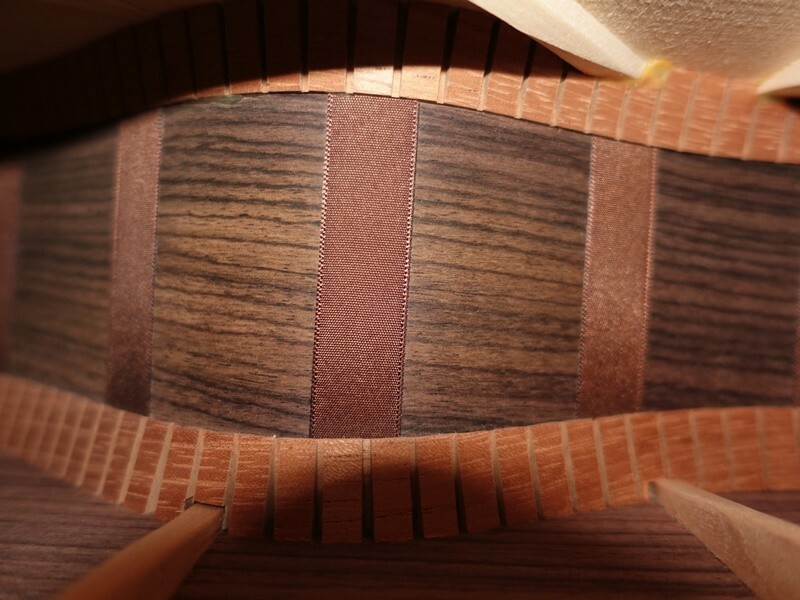 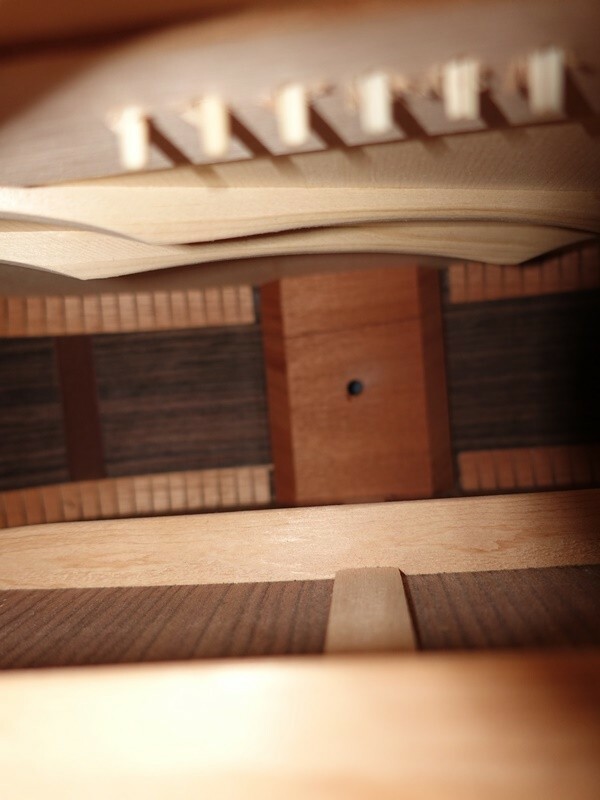 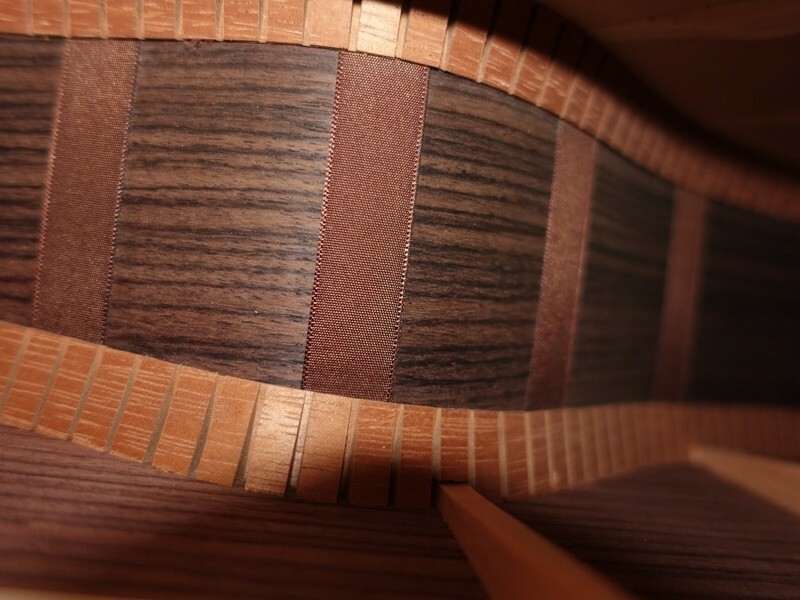 The mahogany neck has a soft V profile joining the body at the 14th fret. 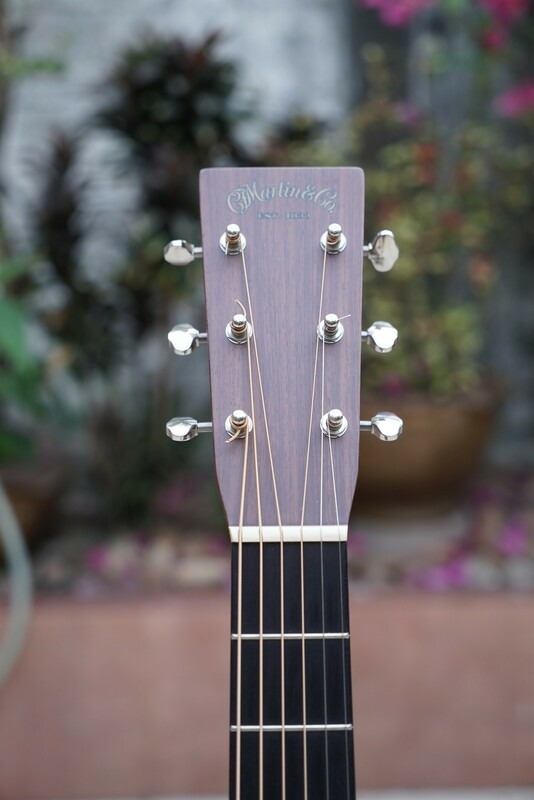 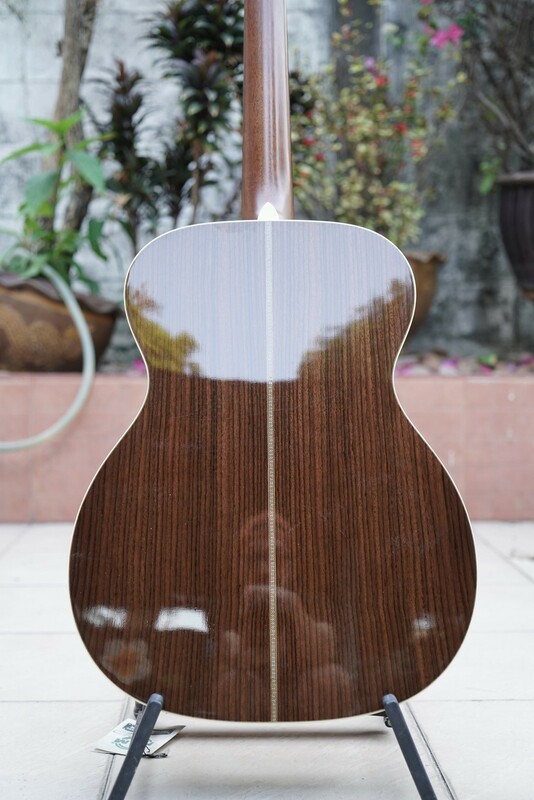 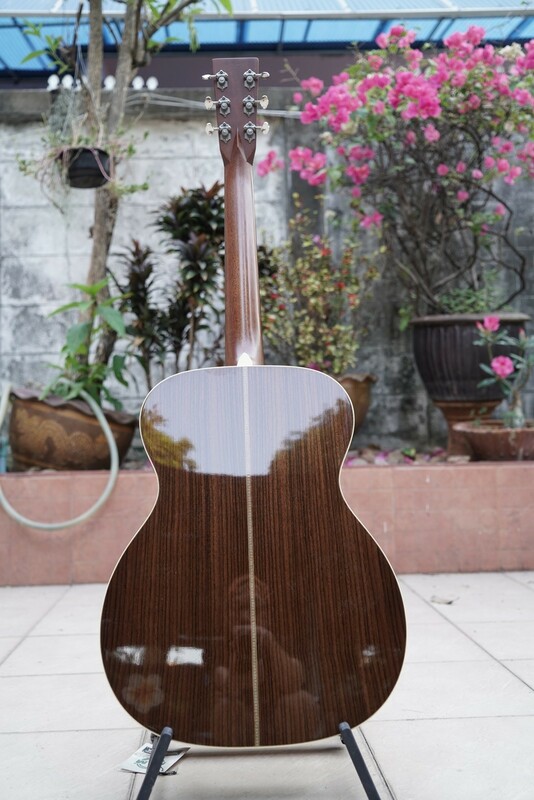 The ebony fretboard has abalone slotted diamond inlays and 20 frets.